How much does it cost to play at the Palm Coast Tennis Center? 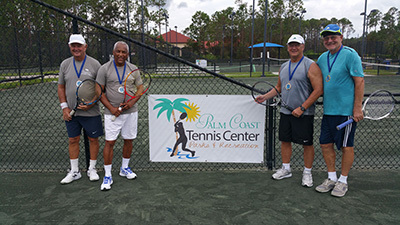 There are two options to play at the Palm Coast Tennis Center. The most cost-effective option, if you play at least 4 times a month, is to become an annual pass holder. The price to become an annual pass holder is $550 for adults and $149 for junior (17 years or under). As a pass holder, you get unlimited access to the facility, complimentary entry to utilize the Frieda Zamba Swimming Pool for their season (approx. April – November), book courts 7 days in advance and more. If you wish to drop in and play at the facility then the cost is $10 for an Adult and $5 for juniors (17 years or under). What clinics do you offer and how much do they cost? 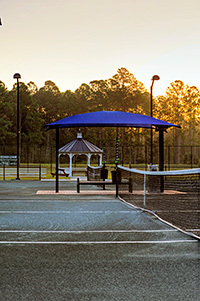 What makes us unique is that we can utilize all of the great courts in the City of Palm Coast, since we are under the Parks & Recreation Department. Starting summer 2018, we will have clinics at Holland Park as well as the Palm Coast Tennis Center. We will also be hosting a full-day summer tennis camp at Belle Terre Park. What does your pro shop consist of? The pro shop at the Palm Coast Tennis Center offers a variety of beverages, strings, and grips for purchase as well as racket stringing and some clothing items. 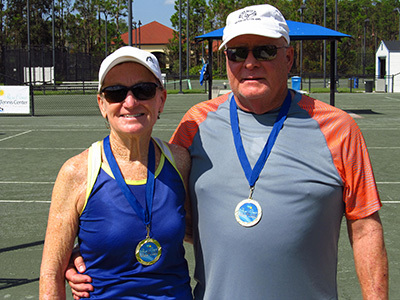 Is the Palm Coast Tennis Center a part of the Net Generation program? The Palm Coast Tennis Center actively supports the United States Tennis Association (USTA) and their efforts to inspire a new generation of tennis players! We are an official provider of Net Generation and all of the staff has completed the safe play program background check in order to ensure a safe and secure environment for the kids. What kid's camps do you offer? We offer a variety of camps throughout the year. We have a spring, summer and winter camp. You can find out more about our camp by CLICKING HERE. What personal training options do you provide? We offer 1/2 hour and 1 hour lessons with any of our qualified tennis instructors. We also have different lesson packages as well. Please call us at (386) 986-2550 to find out more information about our lesson packages.